Unlock the next level of your life and the true lifestyle freedom that is possible through tapping into the power of entrepreneurship, digital media, and the connected economy. 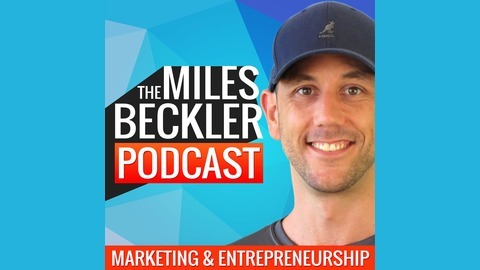 Miles Beckler is an entrepreneur on a mission to help people to escape the rat race and unlock the abundance and lifestyle freedom possible through internet marketing and entrepreneurship. Being an entrepreneur can feel overwhelming and confusing at times... Whether you're just embarking on your journey as a digital marketer, or have been building an online business for years. Miles has a natural talent for breaking down complex ideas and internet marketing strategies into simple and easy to understand concepts. 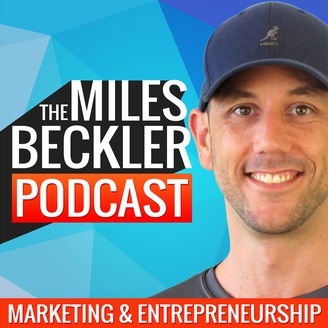 One of the main goals of this podcast is to cut through the noise and help you to focus on the key things and strategic areas that will create the most impact in your business. Miles has been a full-time internet entrepreneur since 2010 and has been earning income online since 2003. He has helped thousands of people grow their businesses online through his blog and YouTube videos. Struggling to make money online? Feel like you should be making more money by now? You're probably making one of these mistakes! You need to have the right mindset and the right 'Map' to follow if you want to truly be successful. This video goes into the three main reasons why people fail and it gives you the solutions so you can avoid making these mistakes. The first big reason most people fail at Internet marketing is that they don't treat it like a real business. Many of the fake gurus make it sound like it's a hobby or something you can do while traveling and playing, but the truth is building a real business online requires incredible discipline and hard work. The reason it takes so much work is you have to build to complete systems from scratch and then you have to optimize them so they actually work… Your first versions will rarely work. I explain exactly what these two systems you must build are in the video. The second reason most people fail with Internet marketing is misunderstanding what it means to choose a niche. Whether they start with the product first, the back some MLM or me to marketing scam, forgetting that a niche is actually a group of people with a similar need, goal, desire is a huge problem. The third reason why most people fail is a lack of strategic perseverance. Many people stop 3 feet from Gold and they don't allow the power of compounding to truly work for them in their business. Also getting caught up in fake gurus/and shiny object syndrome is a recipe for disaster. There are two specific things you can do in order to achieve strategic perseverance fast, which are both revealed in the video. If you made it to the end, congratulations you are definitely on the path to creating the success that you desire. Office Hour! Answers To Questions About Your Niche, Digital Marketing, Or Your Sales Funnel! The 3 Most Common Mistakes Digital Entrepreneurs Make & How To Fix Them!